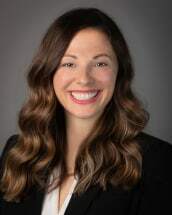 Chelsea J. Suttmann, is an attorney in the firm's estate planning and estate administration practice area. Ms. Suttmann was admitted to the California State Bar, the United States District Court for the Northern District of California, in 2012. Ms. Suttmann received her B.A. degree in English Language and Literature at the University of Michigan, Ann Arbor and earned her J.D. in 2012 from Santa Clara University School of Law. While at Santa Clara, she was inducted to the Order of the Coif and served on the Santa Clara Law Review as the Technical Editor. January 2015 – Contributing author to "Inside the Mines: Family and Business Succession Planning 2015 Edition" – Chapter title "Tax Law Changes Alter Client Reasons for Seeking Estate Planning.” This book is published by Aspatore which is a subsidiary of Thomson West.